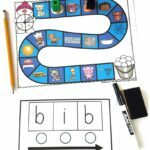 If your kids are learning about the magic e, you’ll love this game and bonus worksheet! 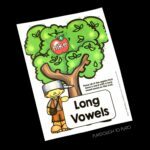 As kids race to find their magic treasure, they practice reading ordinary CVC words plus their magical pairs – words that have a silent e at the end that makes the vowel say its name. 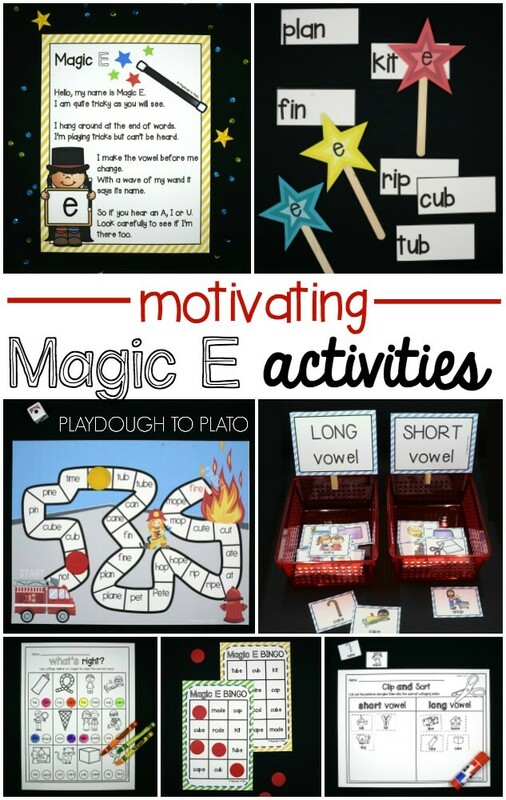 The games are a fun addition to our super popular Magic E Activity Pack! I like tuning kids into the magic e concept with You Tube songs. 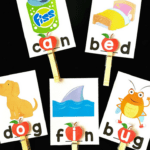 “The Magic e Song” is useful for teaching kids how the e makes the short sounds long. The “Silent e song” provides a great visual of how magic e works too. After that it’s time for activities! We use a magic E wand to change words like “can” into “cane” and play rounds of bingo to practice reading them. 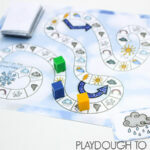 To prep the game, I print the gameboard on cardstock to make it extra durable and laminated it for easy reuse. It’s a two player game so all the kids needed was a game board, counters (dried beans or coins work well) and a die. 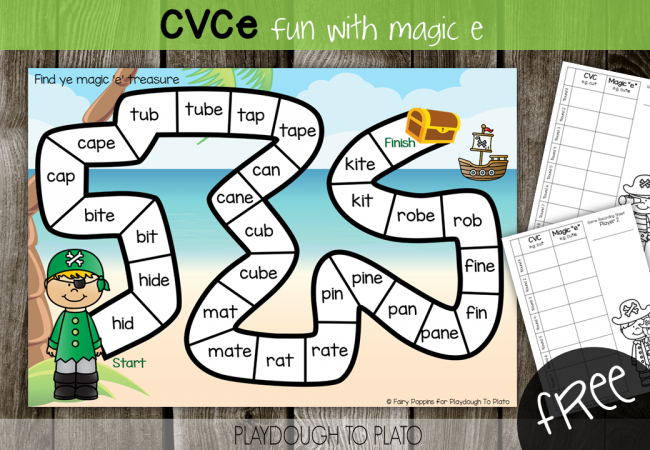 The magic e game contains CVC words that change into new words when the magic e is added. We played it two ways. The first way involved the kids rolling the die, moving their counter and using a game recording to sheet to write the words they landed on. 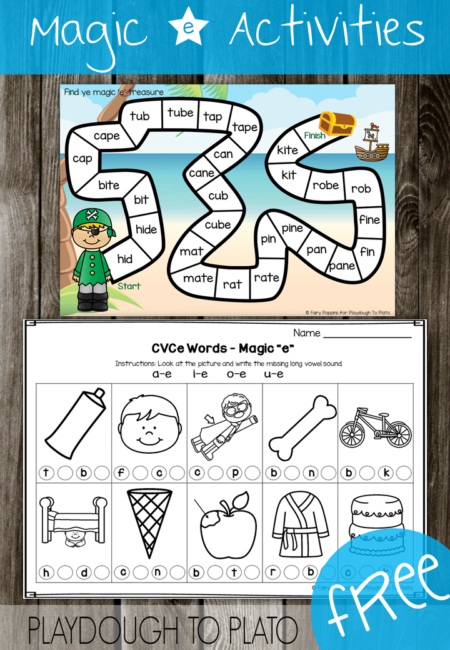 After the class played the game, kids had a go at writing the magic e words using a batch of kid friendly worksheets. They focused on applying the magic e rule by looking at the picture and writing the missing long vowel sound a-e, i-e, o-e or u-e.
Ready to play?! 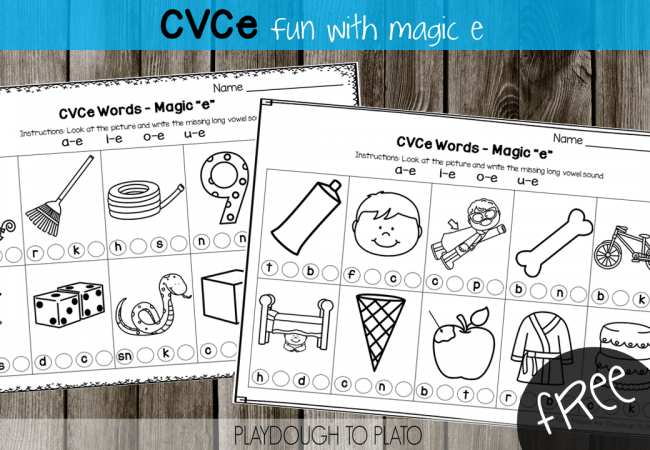 Click the blue button below to grab your free copy and then hop over and snag our Magic E Activity Pack too!